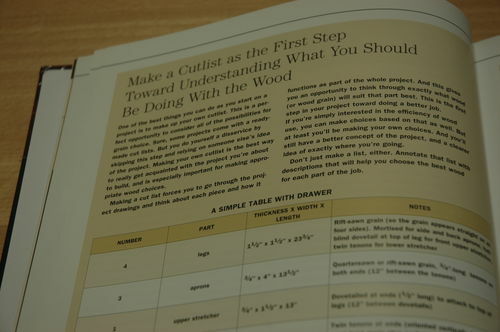 This is the first Popular Woodworking book that I have really found entertaining. Some of the previous ones I have read have been quite elementary and didn’t offer much substance. ”Woodworking with Body, Mind and Senses”, this book is a good addition to your library. 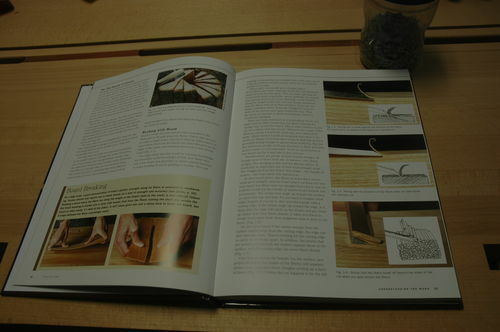 Jeff Miller provides some basics in the first few chapters so the understanding of working wood fibers is clear, then moves on to sharpening tools, techniques, safety, jigs, tool use, etc. then brings it all together in the end. It is well written and has a number of quality images and drawings that illustrate his text. Some of the concepts from his years as a furniture maker are interesting and insightful. Clear, concise, understandable, lots of photos and illustrations, it earns a 5 star rating from me. This hardcover book is listed in the $30.00 range, I purchased mine from Amazon.ca for $19.75 CDN and got free shipping too! Publisher’s date is November 2012. Thanks for the review—I’ll keep this in mind. Now you made me want that book. I need books. This is a book. Seems as though the stars have aligned. 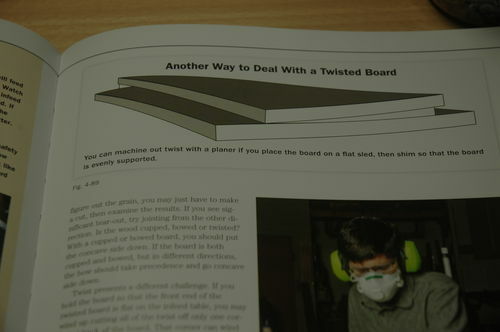 Weak attempts at a witty turn of phrase aside, I really am in the market for a few excellent woodworking books. Thanks for the review!